Bonus Offer: You will receive a free Weiss Schwarz play mat with every 4 booster boxes of Weiss Schwarz BanG Dream Girls Band Party boosters pre-ordered!The girls from the upcoming mobile game "BanG Dream! Girls Band Party!" 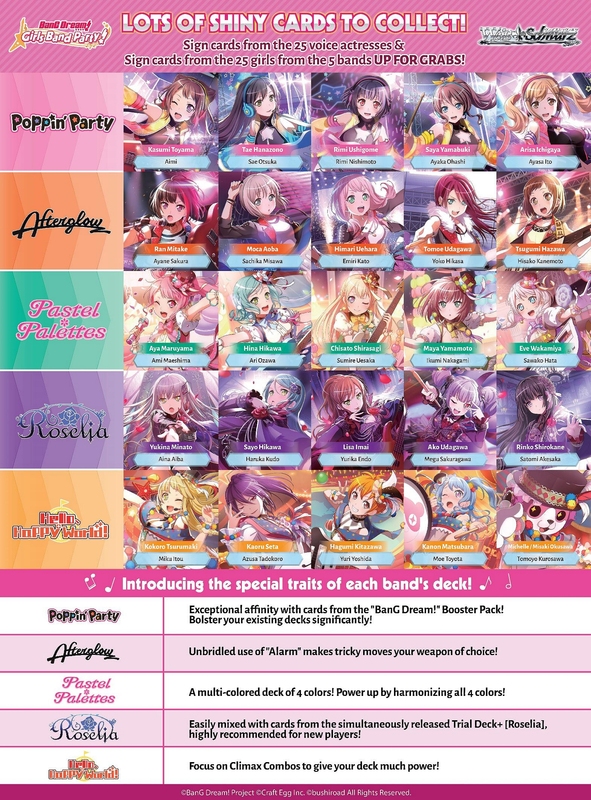 are joining the Weiss Schwarz stage! Featuring the vibrant scenes from the mobile game! 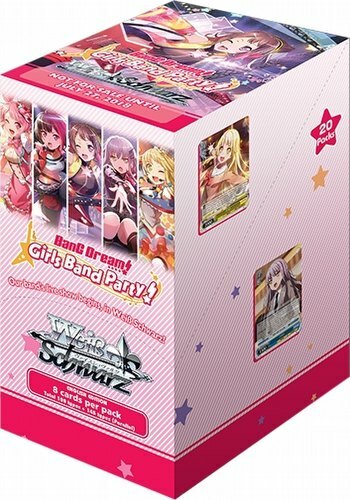 What's more, cards in the Weiss Schwarz: BanG Dream Girls Band party booster can be mixed together with cards from the BanG Dream Booster Packs released in June 2017! Every booster box includes one of five exclusive promo cards. There are 100 cards in the set plus 145 Parallels. Look for 125 Hot-Stamp signed cards from the 25 voice actresses and 25 characters from the five bands randomly inserted in packs! 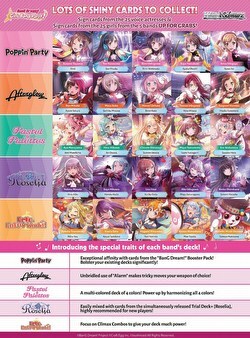 This set introduces special traits for each band's deck (Poppin' Party, Afterglow, Pastal & Palettes, Roselia, & Hello Happy World).